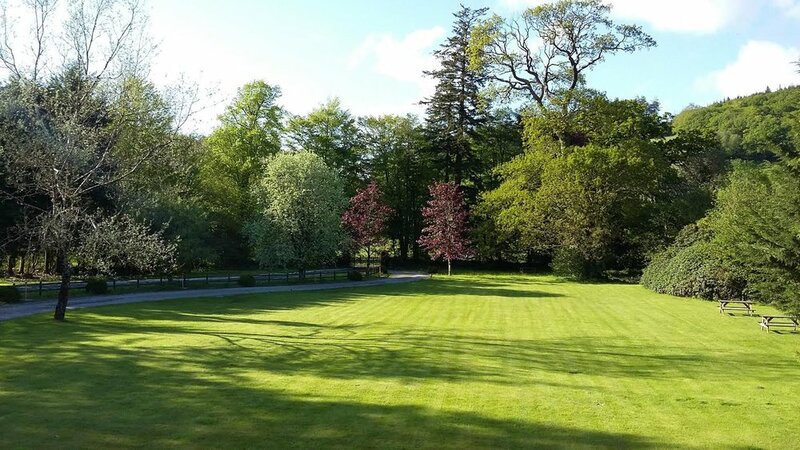 Wonderful views over the front lawn to mature trees and the magnificent backdrop of Brechfa Forest. The most luxurious room in the house, ideal for that get away from it all romantic break. A selection of continental options and hot breakfasts to order: traditional full Welsh or vegetarian. Glangwili Mansion sits at the edge of Brechfa Forest, just a few miles from the historic market town of Carmarthen. It is an ideal central location for visiting beautiful beaches, fantastic coastal and country walks, ancient castles and award winning visitor attractions of Carmarthenshire. Luxurious, comfortable accommodation that is relaxed and informal – with service that is second to none. Enjoy the peaceful surroundings and a wealth of top class eateries that we have in the area and you’ve got a weekend break to remember!